As part of British Woodlands Survey 2017 — whose report was published earlier this year — we were commissioned by FSC UK to ask stakeholders their views about forest certification. 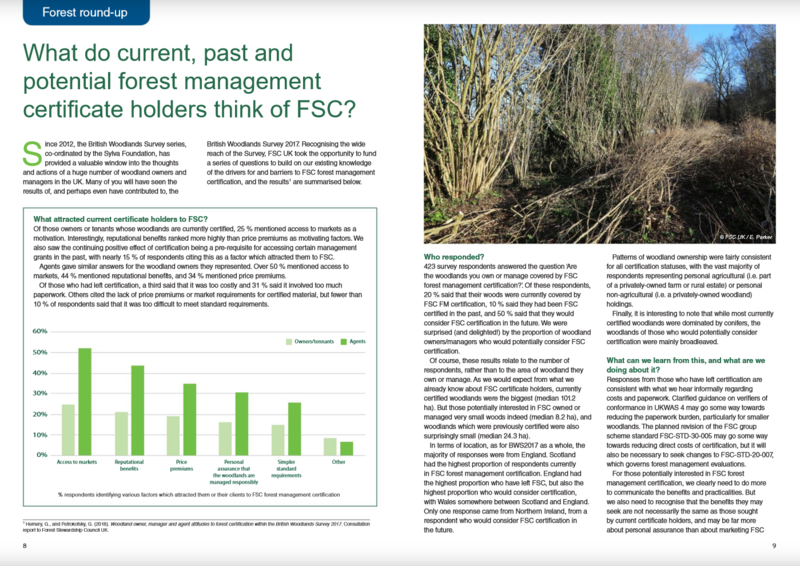 We were pleased to see FSC UK publish a summary of the results in the May/June edition of Forest Matters. A call will soon go out for members of a standard development group and a consultative forum for this project. Keep an eye on the FSC UK website for updates.